Save Money. That's one of my goals coming in to the New Year especially when it comes to clothes. For one, my closet is totally out of space and two, I think it's time I tame that clothing budget! Who's with me on this? For starters, I intend to save money by reworking my closet, which in essence is getting creative with what you already have. So here is a little something I "reworked"- an outfit perfect for happy hour. Great reworking of your pieces Pau! Love the gold - so classy!! I must get my hands on those heels! LOVE! I completely agree! I feel that the more options I have, the more confused I am when trying to put together an outfit lol. In love with the jacket and with the gold heels as well. Also I love every single look. I am going to love this series of yours. I also need to start being more creative with what I have. Love the look and the dark lip! Love the outfit, and I'm going to have to start doing the same thing...reworking and shopping back in my closet! You will be my inspiration! And I love the outfit you came up with. The gold heels are adorable with the tweed! I'm in love with that jacket! and those shoes are perfect. You look great. 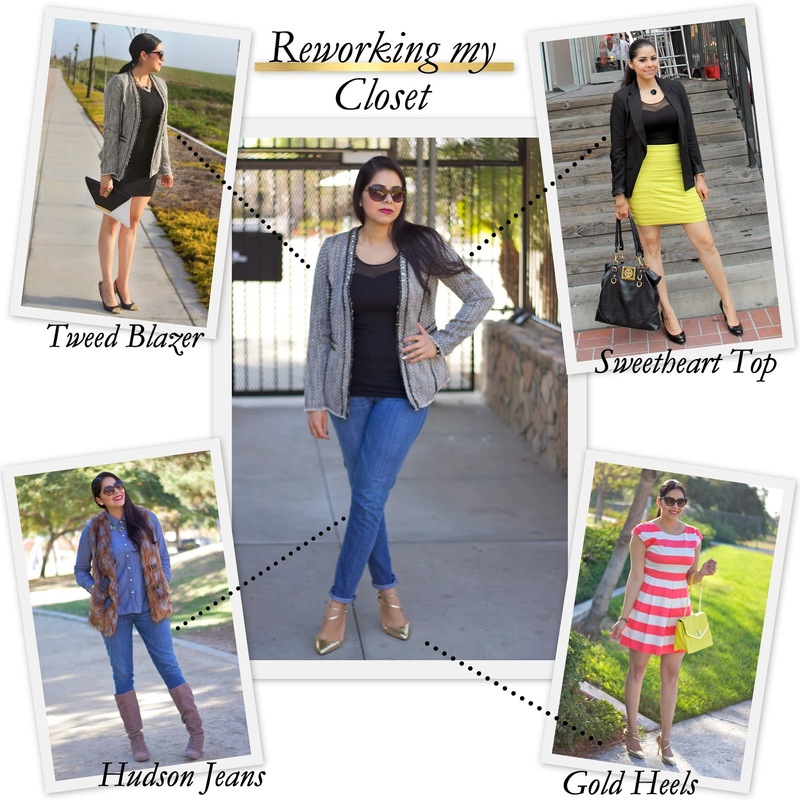 Great job reworking your closet, I've got to try it! I'm all about reworking pieces right now too! Love the outfit. Those shoes are gorgeous!